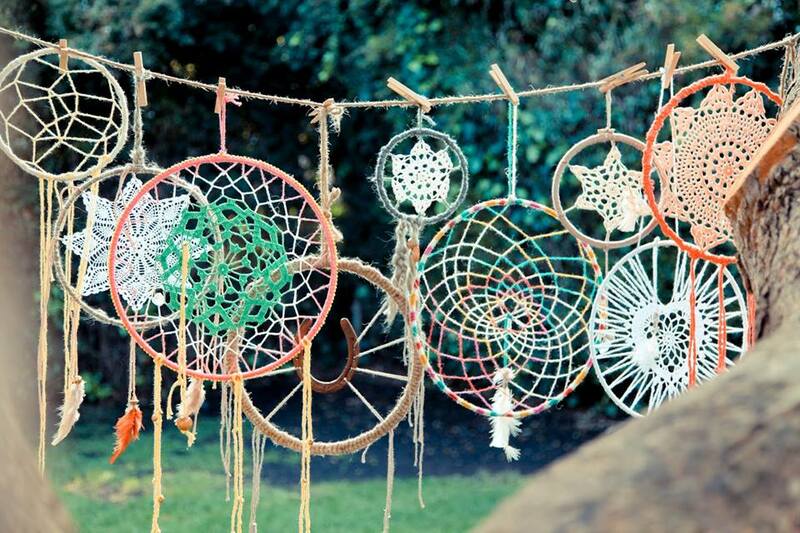 Ever wondered what a dream catcher actually is? 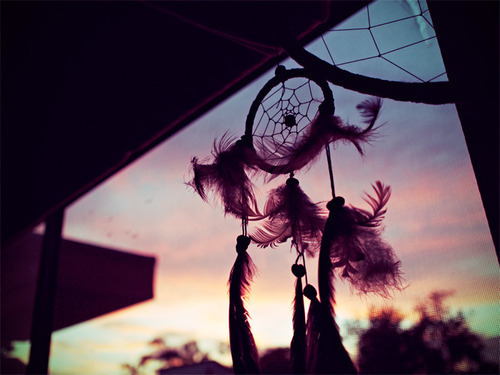 There are two legends concerning its inception; one comes from the Ojibwe people, where the dream catcher first originated among the Native Americans, and the second from the Lakota, who learned about it through trade and intermarriage with the Ojibwe people. A woman watched a spider spin its web patiently day by day above the place where she slept. One day, her grandson saw the spider and tried to kill it. “Don’t hurt it” the woman said. “But, grandmother, you shouldn’t protect this spider” said the boy who didn’t kill the spider, after all. When her grandson left, the spider thanked the woman and promised to spun for her a web. “The web I will spin you will hang between you and the moon, so that it will snare the bad thoughts while you sleep and keep them from you”. At this, the woman smiled and watched the spider spin its web. During a spiritual vision high on a mountain, an old Lakota leader came upon Iktomi, a trickster but who was also very wise. 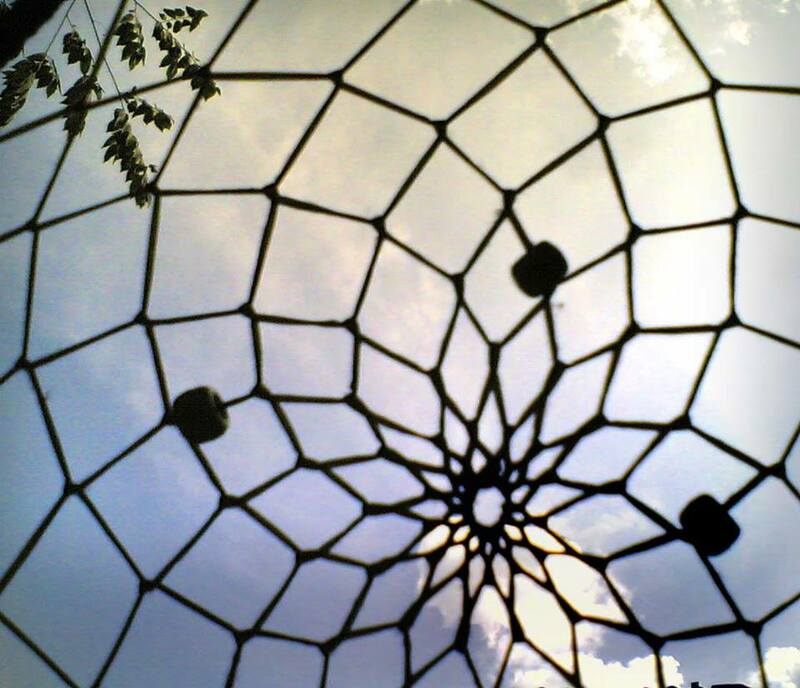 Iktomi appeared to the leader in the form of a spider, made a hoop of willow and spun a web inside it. 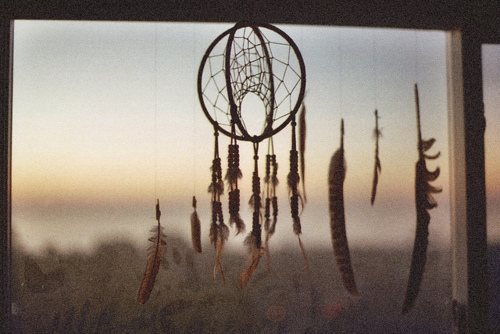 He then told the Lakota leader that many forces, both dark as well as bright, would try to get into peoples’ dreams but the dream catcher he was making would catch the bright forces and let the dark ones slip through it. 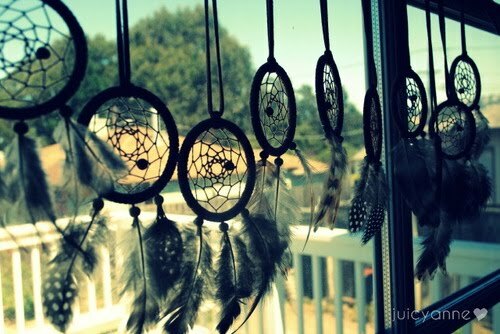 He then instructed the aged leader to make dream catchers for his people so that they could have a bright future by grabbing the good dreams that are blown about by the night winds. 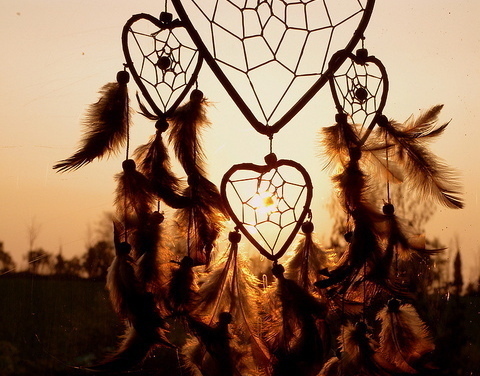 As you can see, in the Ojibwe legend the dream catcher traps the bad dreams, while the exact opposite happens in the Lakota legend, where dream catchers capture the good dreams. 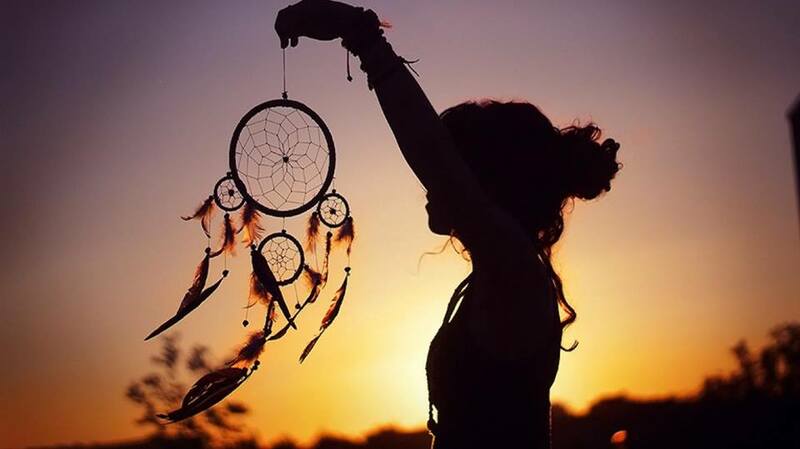 Hoop: Originally made from willow wood and either in the shape of a circle or a teardrop, the hoop serves mainly as the frame of the dream catcher, while some believe it represents the circle of life. 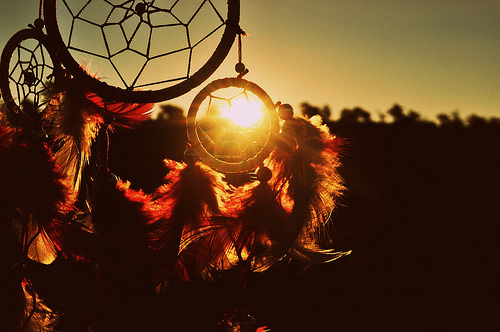 Web: Traditionally patterned after a spider’s web, its purpose is to trap the bad dreams, preventing them from entering the dreamer’s head (opposite in the Lakota tradition). 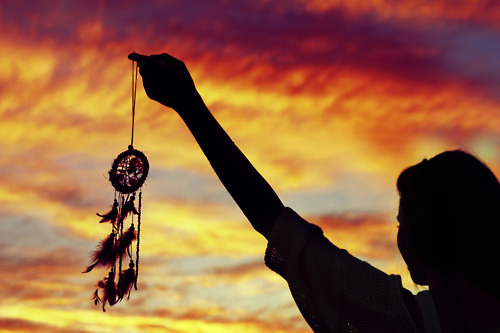 Feathers: One of the many beliefs about the use of a feather is that it allows the good dream to glide down to the dreamer’s head, acting as a smooth ladder. Beads: A single bead usually represents the spider that spun the web, while several of them may represent the number of dreams captured during the night. 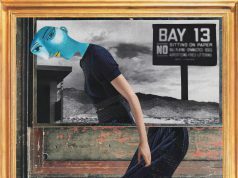 Gem stones: They replace feathers, as in some parts it is illegal to obtain them. Arrowheads: For some, the arrowheads represent the four corners of the Earth, directions from which the wind blows, while other makers add them for extra strength and increased protection. Whichever version you choose, my brave reader, be it the Ojibwe or the Lakota legend, go get yourself a dream catcher, or make one, even -just browse the web and you’ll find plenty of DIY craft sites that can show you how to make your own dream catcher- tuck yourself in, start counting your sheep and immerse into Morpheus’s world fearless of bad dreams.